Citrus Expo News Citrus Growers: Arrive Early and Receive a Free Book! Thanks to AGMAX, LLC, this book is being made available as a promotional gift, while supplies last, to citrus growers attending Citrus Expo 2018. 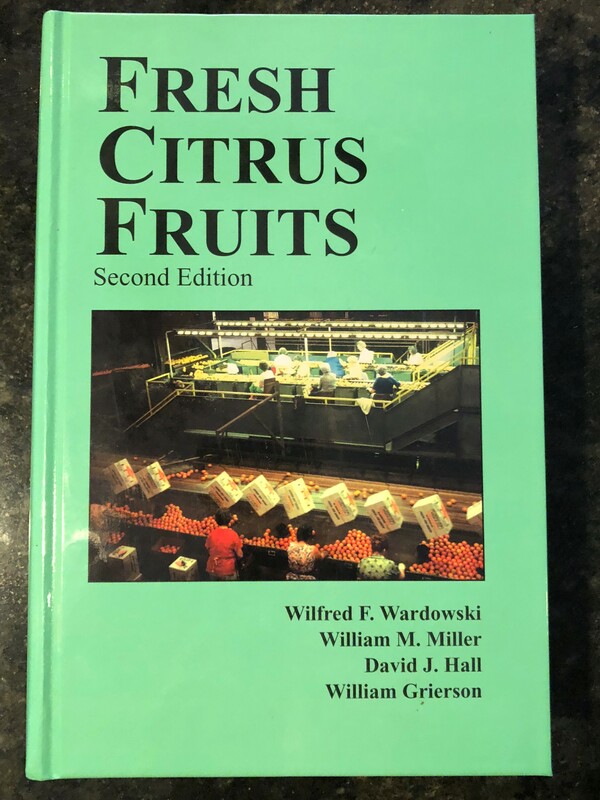 This edition of “Fresh Citrus Fruits” was published in 2006, and these copies are the last remaining stock. In the 12 years since the book was published, much has changed in the world of citrus. Therefore, passages in the book about the present state of the industry are but a snapshot of information at that point in time. The book contains only a few statements about HLB, including that the disease had been confirmed in just 12 Florida counties at the time. However, much of the book’s material remains relevant to citrus growers everywhere, making it a good addition to any grower’s library for generations to come. Inside you’ll find information on citrus varieties, descriptions of citrus diseases and their symptoms, and much more. We appreciate AGMAX, LLC for sponsoring this free book giveaway. Please take a few moments to meet the AGMAX, LLC team to learn about their company and thank them for their support. They will have a table at the front entrance of the show. Citrus Expo will take place on August 15-16 at the Lee Civic Center in North Fort Myers, Florida. Growers, pre-registration will end on Friday, August 10. All pre-registered growers will automatically be entered to win a John Deere gun safe, courtesy of Everglades Equipment Group. So don’t wait, click here or call 352-671-1909 to pre-register.